Pakistan Taliban chief Hakimullah Mehsud has been killed in a drone strike. The strike targeted a vehicle used by Hakimullah Mehsud with four missiles in the north-western region of North Waziristan. Four other people were killed in the strike, including two of Hakimullah Mehsud’s bodyguards, intelligence sources say. Several previous claims of his death, made by US and Pakistani intelligence sources, have proven untrue. Pakistan’s government has issued a statement strongly condemning the drone attack, saying such strikes were a “violation of Pakistan’s sovereignty and territorial integrity”. Friday’s strike targeted Hakimullah Mehsud’s vehicle in the Dande Darpakhel, some 3 miles north of the region’s main town, Miranshah. A senior US intelligence official told the Associated Press that the US received positive confirmation on Friday morning that he had been killed. 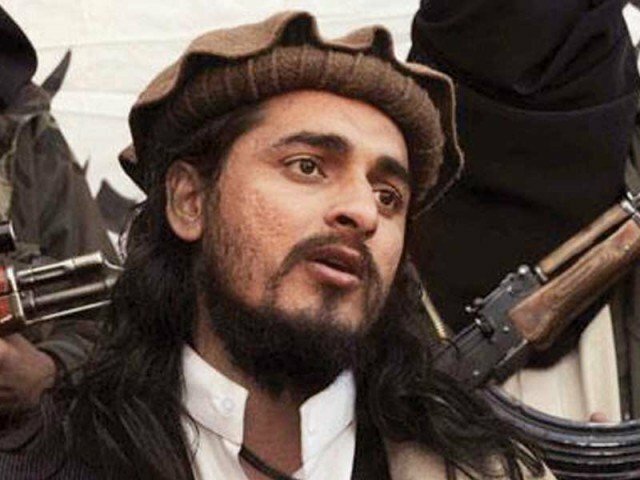 Hakimullah Mehsud had come to prominence in 2007 as a commander under the militant group’s founder Baitullah Mehsud, with the capture of 300 Pakistani soldiers adding to his prestige among the militants. In January 2010 Hakimullah Mehsud gained further notoriety when he appeared in a video alongside a Jordanian who is said to have blown himself up, killing seven CIA agents in Afghanistan to avenge Baitullah Mehsud’s death. Hakimullah Mehsud had a $5 million FBI bounty on his head and was thought to be responsible for the deaths of thousands of people. He became leader of the Pakistani Taliban in 2009, aged 30, after his predecessor Baitullah Mehsud died in a US drone strike at his father-in-law’s residence in South Waziristan. The strike against Baitullah Mehsud reportedly came after repeated complaints by Pakistani officials that the Americans were not hitting militant groups who attacked targets in Pakistan. Waliur Rehman, his second-in-command, died in a drone strike in May. The attack targeting him comes on the same day that the Pakistani government announced it was about to send a delegation to North Waziristan to try to get peace negotiations with the Taliban under way. Pakistani PM Nawaz Sharif had pledged to talk with the Taliban to try to end its campaign of violence, which has left thousands dead in bombings and shootings across the country. Francesca Pascale: Who is Silvio Berlusconi's new wife?